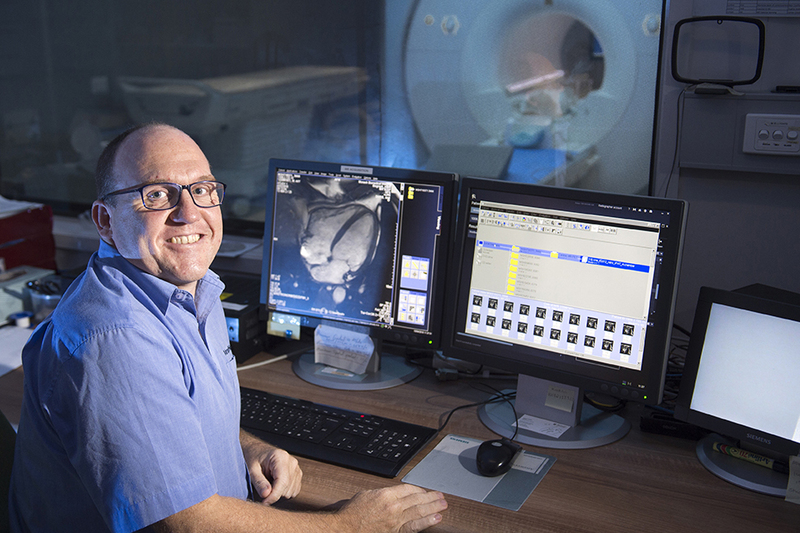 To gain optimal images from our MRI and simultaneous MR-PET scanners, researchers are supported by the Clinical Imaging Team, which consists of highly-trained radiographers and nuclear medicine technicians. Our Clinical Imaging Team works with researchers to develop and provide advice on the MRI sequences and techniques required to address a research question. Our Head Radiographer and Head Nuclear Medicine Technician oversee clinical and preclinical MRI and MR-PET studies, and work with the team to ensure all technical specifications are met. This highly individualised support for researchers ensures scanner use is efficient, cost-effective and delivers the best quality images possible. One of our radiographers will be on-site to operate the MRI scanner during a study, and a nuclear medicine technician will assist with MR-PET research. After scanning has been completed, the Clinical Imaging Team supplies images and relevant data in a user-friendly archive ready for the researcher to download. As well as assisting researchers, the Clinical Imaging Team conducts regular and extensive quality assurance procedures on our scanners to ensure images generated are of the highest quality possible. The safety of all researchers and participants using our scanners is of utmost importance. Before using our scanners, researchers must complete a MRI safety education session and if they are using the MR-PET scanner, training on the use of open-source radiation will be included. All participants must complete a screening form and undertake a thorough MRI screening with one of our radiographers. However, it is the researcher’s responsibility to recruit and obtain relevant permissions for participants. All Monash Biomedical Imaging radiographers have significant experience and knowledge of MRI in a clinical setting. 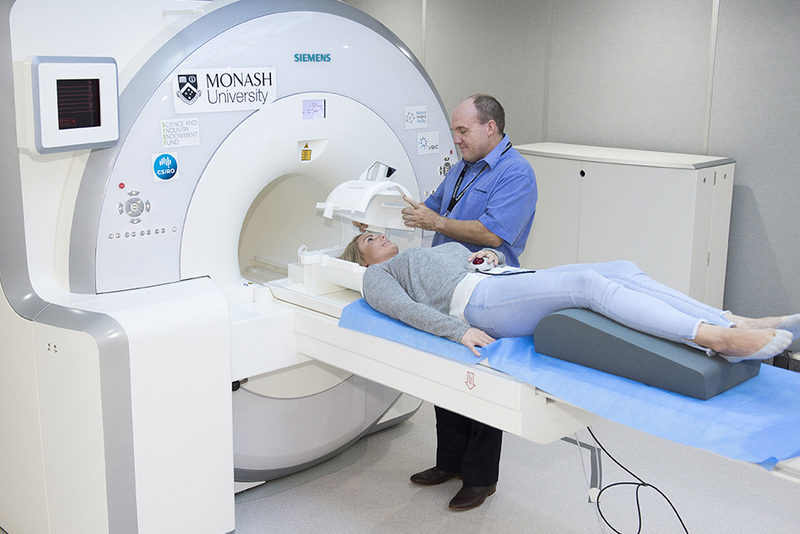 As well as working at Monash Biomedical Imaging, they also operate MRI scanners at a major teaching hospital. Continual Professional Development is mandatory for all radiology staff and covers clinical, preclinical and technical scanning, as well as information on the latest techniques and developments as they become available. Our Head Radiographer is also a senior sessional lecturer and responsible for the under-graduate MRI education program at Monash University and the cardiac MRI service at Monash Health Care network. Our nuclear medicine technicians also have extensive clinical experience, along with knowledge in PET and the principles of nuclear medicine. They also work at a major public teaching hospital, where they work with with two busy PET-CT scanners in a large nuclear medicine department. Some of our radiographers and nuclear medicine technicians continue to develop complementary skills. While some radiographers are learning radioisotope and other nuclear medicine techniques, our nuclear medicine technicians are studying MRI techniques and principles. This allows all our staff to work and learn together in a flexible multidisciplinary department. All bookings for an MRI scanner include the cost of a radiographer, and a nuclear medical technician for the MR-PET scanner. View our prices page for further details. Authorised by: Chief Marketing Officer, Strategic Marketing and Communications. Maintained by: Monash Biomedical Imaging Webmaster Team. Last updated: Sep 2018.